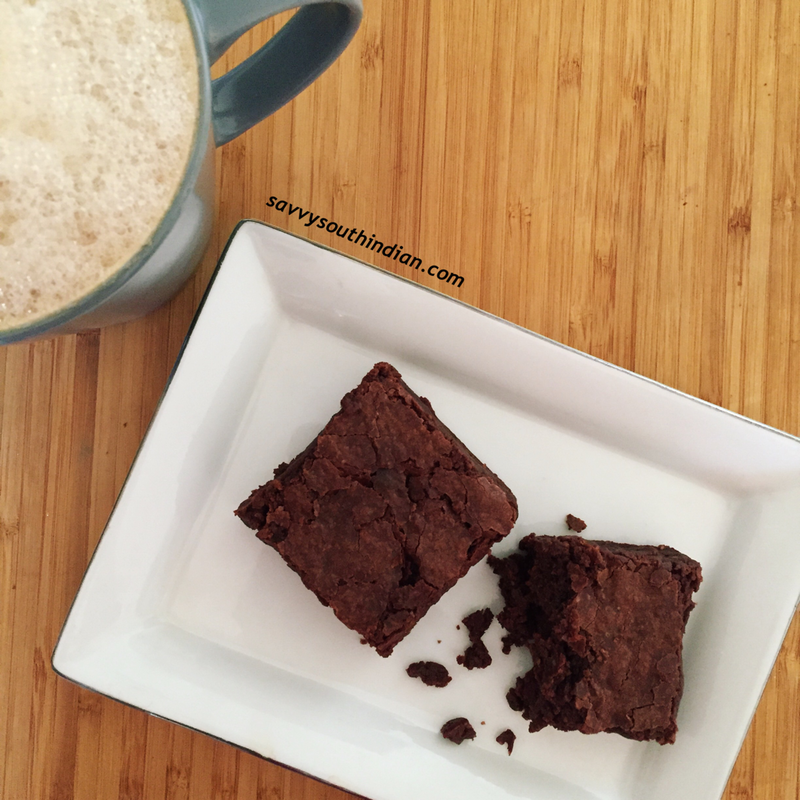 Can you believe this decadent chocolate brownie is gluten free and baked without eggs. For all the chocoholics and kids with gluten sensitivity, it’s baked specially for you , Enjoy ! 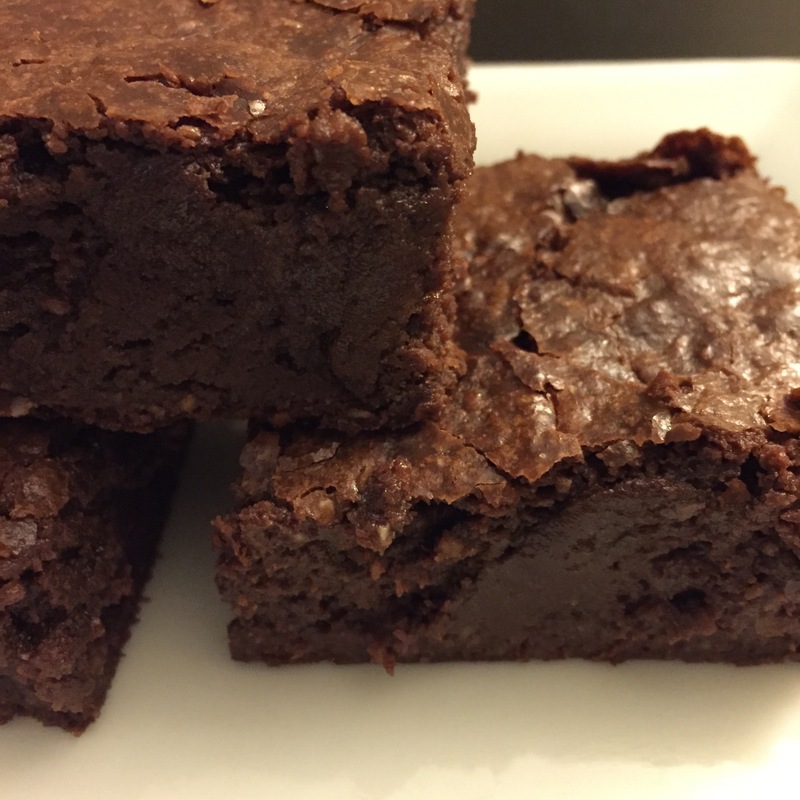 There are tons of awesome brownie recipes out there. I’m dedicating this one for the kids who can’t eat wheat. I never knew what a gluten free diet is until one of my kids started to show signs of gluten sensitivity. So I did a lot of research and started baking gluten free treats at home. My baking style is very simple, You don’t need any fancy gadgets all you need is a big bowl and a fork that’s it . To perfect this recipe it took many trials and so much experimentation. I’m proud to say I finally got it right. I’m very excited to share the recipe. 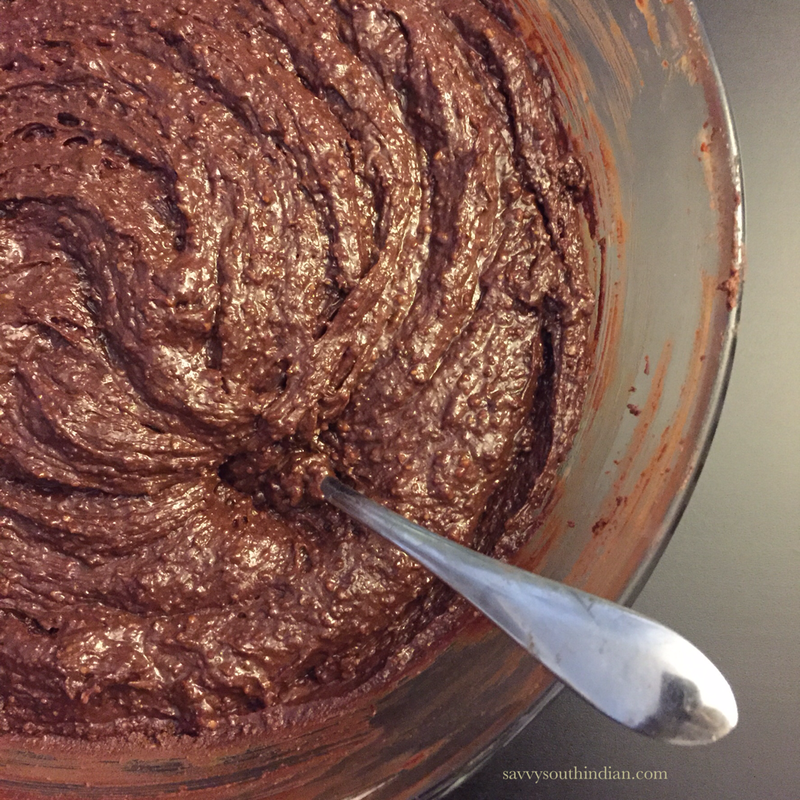 Cakey ones are made with cocoa powder where as the fudgy brownies are made with melted chocolate I wanted the best of both so I have used both cocoa powder and chocolate chips in this recipe. It is so decadent a single bite can transport you to chocolate heaven in seconds. Before we get to the recipe I want to remind you one important thing about baking, always make sure all your ingredients are at room temperature . It really makes a big difference . Mix it nicely with a fork and set aside. 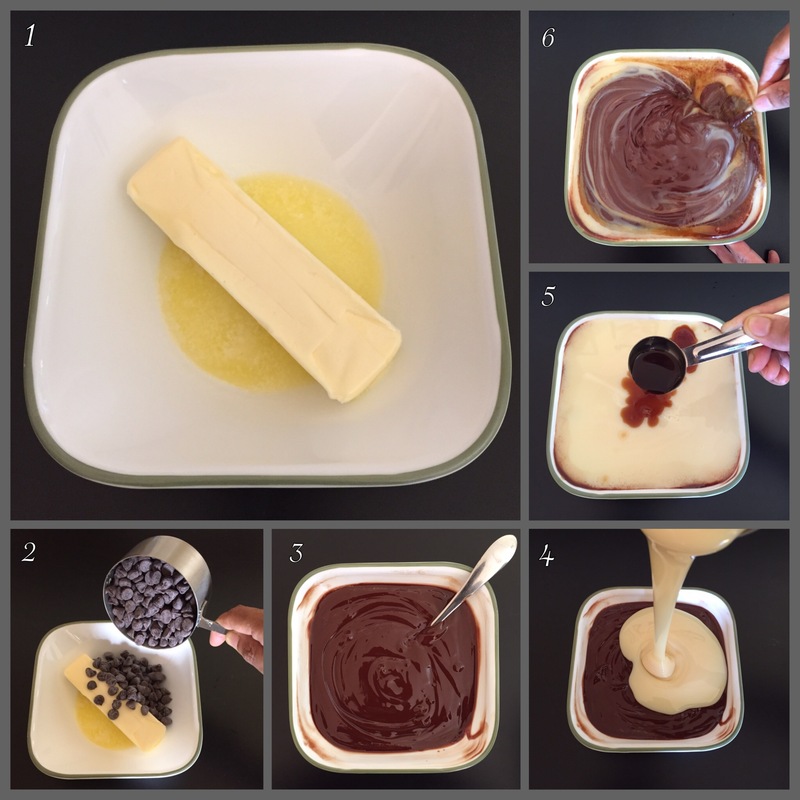 Take a glass bowl add the room temperature butter and chocolate chips and melt it in the microwave or use double boiler method. Set 30 secs, if it’s not melted add 10 more until it’s melted, mix it well with the fork. Please make sure not to over heat the chocolate . To this add a can of condensed milk and vanilla and mix it well. 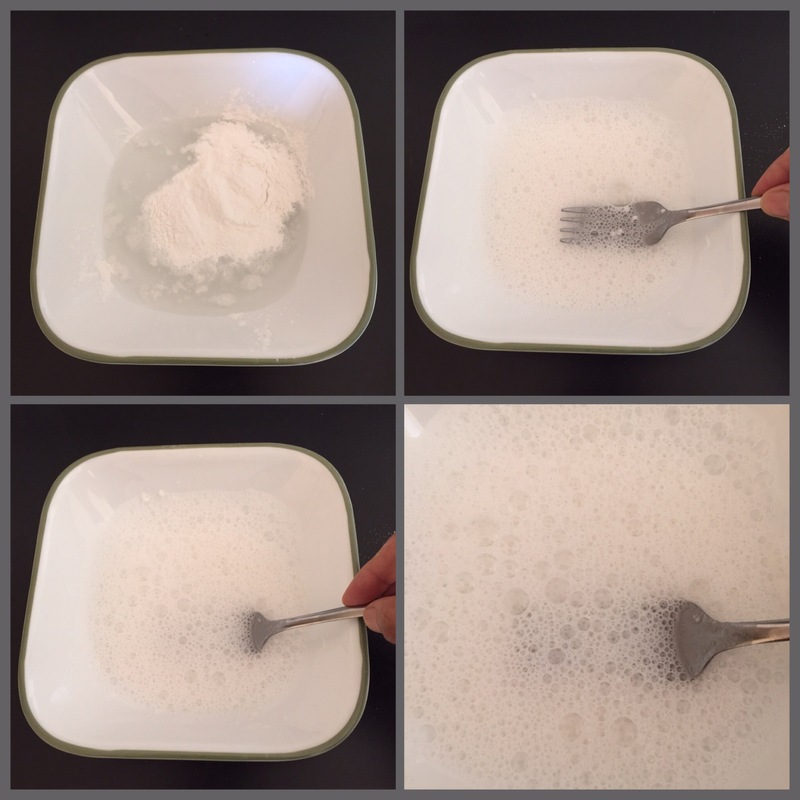 In a clean bowl pour luke warm water add the egg substitute powder and wisk it with a clean fork, It makes this frothy mix. 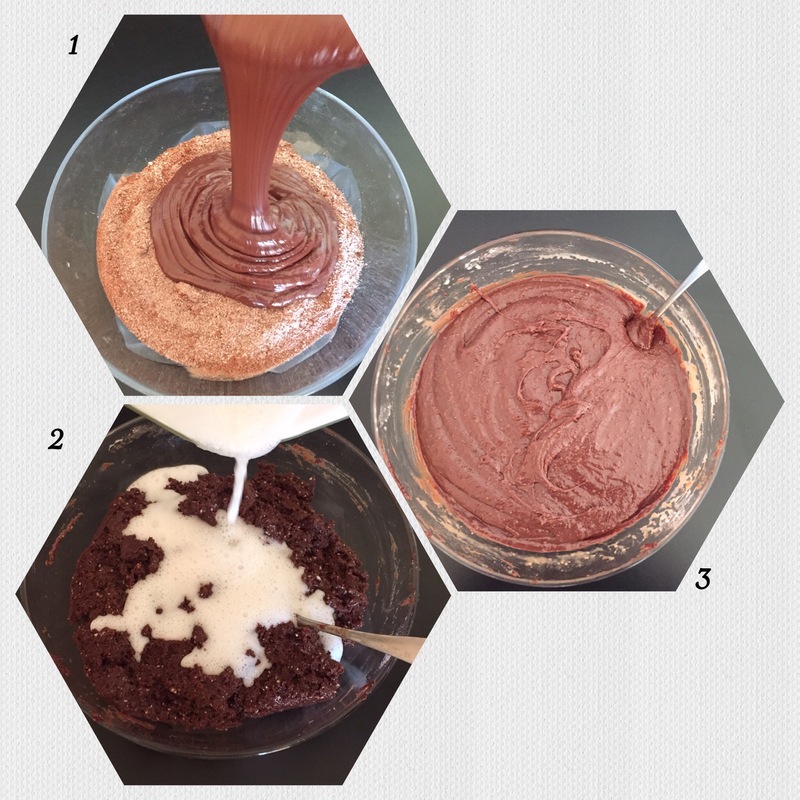 Do this just before you add it to the brownie mix. At the end add the frothy egg substitute and mix it gently until it’s combined. After you add this do not over mix. See how luscious it looks. 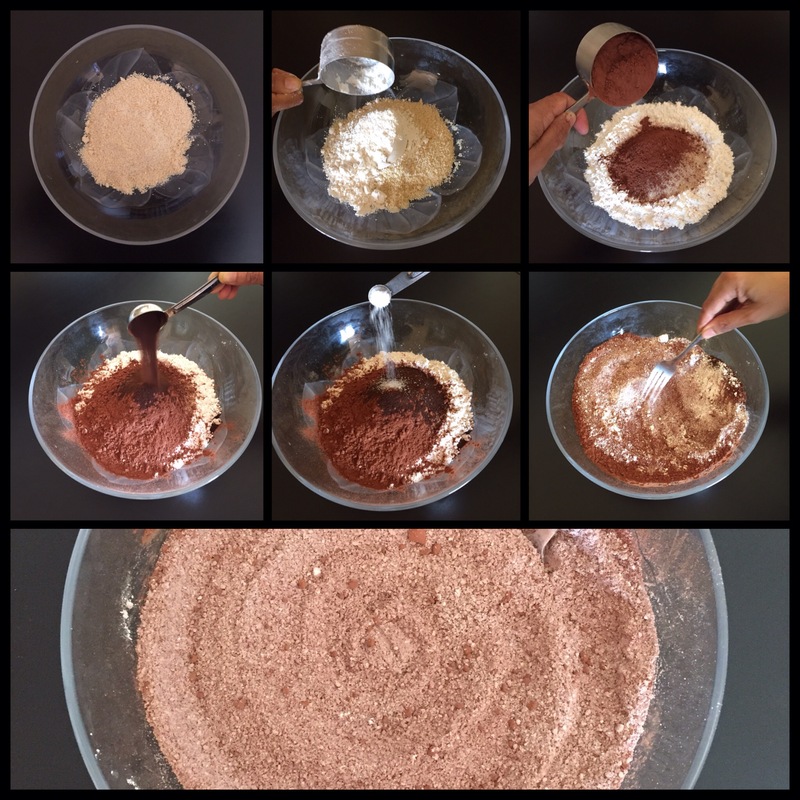 To make gluten free treats tasty and healthy I have used almond flour. 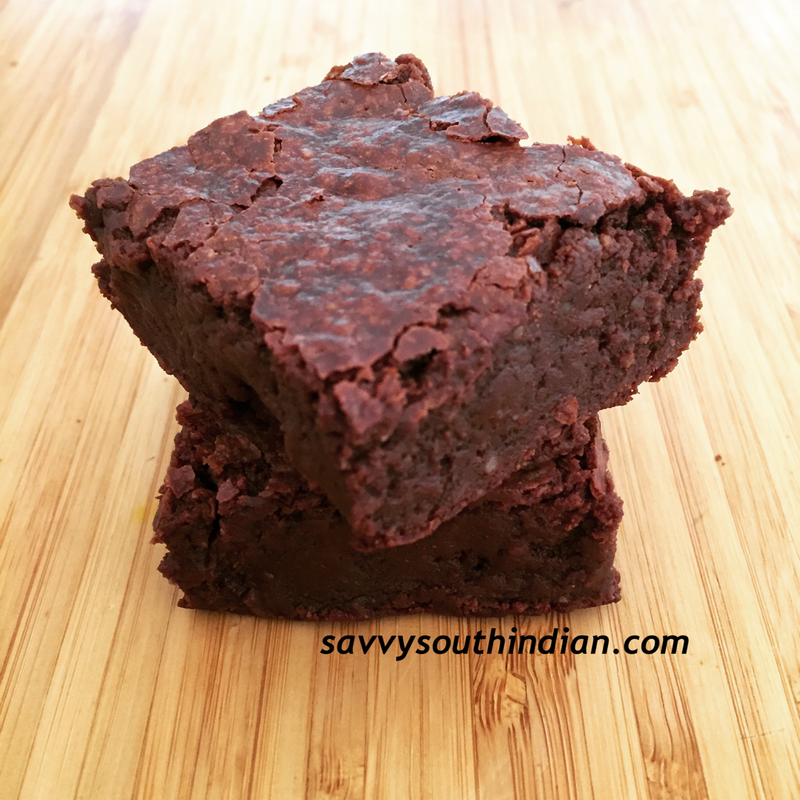 The tiny specks of almond you see in this batter gives this brownie a nutty flavor. The smell of coffee, chocolate and vanilla is divine, It’s so hard to resist. Go ahead let your kids lick the spoon and you can eat this right out of this bowl no fear of raw eggs in this mix. Bake it at 350*F for exactly 35 minutes not a minute more than this . The center will be slightly gooey but hardens when it cools. 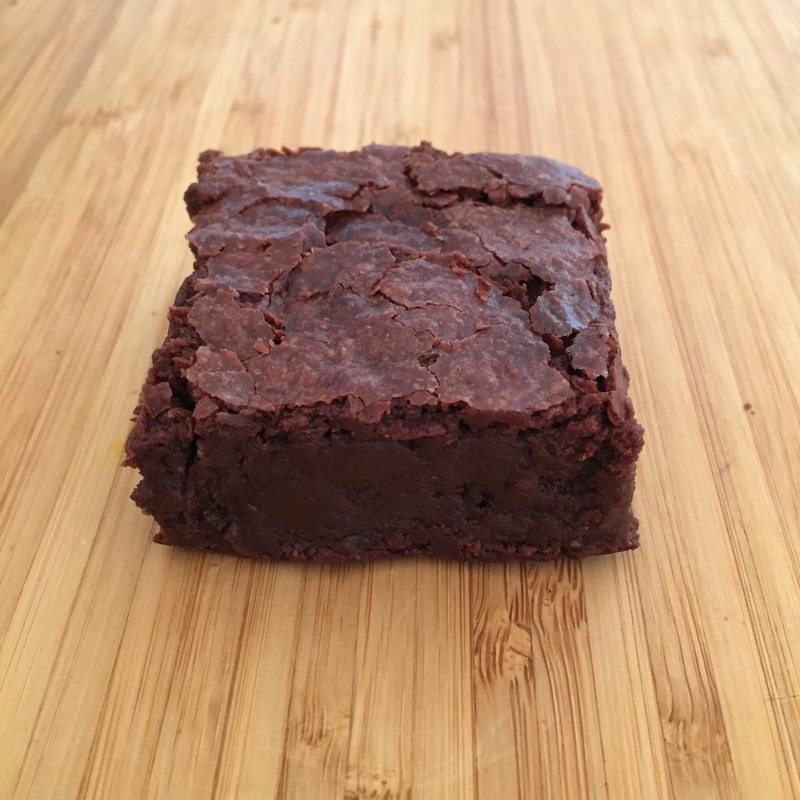 The joy in my kid’s face when she took a bite of this brownie was priceless. The products I have shown are my personal favorites. 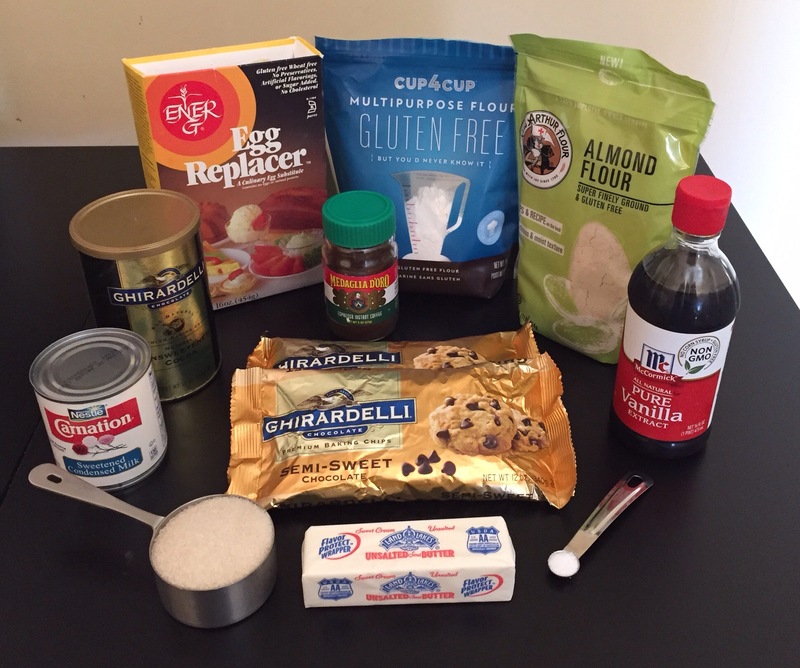 I accidentally came across these really good gluten free products especially the cup 4 cup flour and EnerG egg substitute made this recipe a big success. And I’m happy to share it with you all . Who said gluten free can’t be tasty ? To all you health consicious people I’m happy to say “You can have your brownie and eat it too”. Enjoy ! Sink your teeth in ! Look how fudgy it is! If you are using any other form of egg substitute the results will vary. Please follow the package instructions on your egg substitute. Instant coffee powder really enhances the chocolate flavor but it’s so subtle you don’t even notice after its baked. If your kids do not like coffee flavor you can leave it out. Treats baked only with gluten free flour tend to be little dense to avoid this I have added almond flour. This combination really works and it comes out light and airy. Wow, these sure look amazing! Going to have to try this recipe, total win! My stomach is going to love me! Thanks for sharing!! 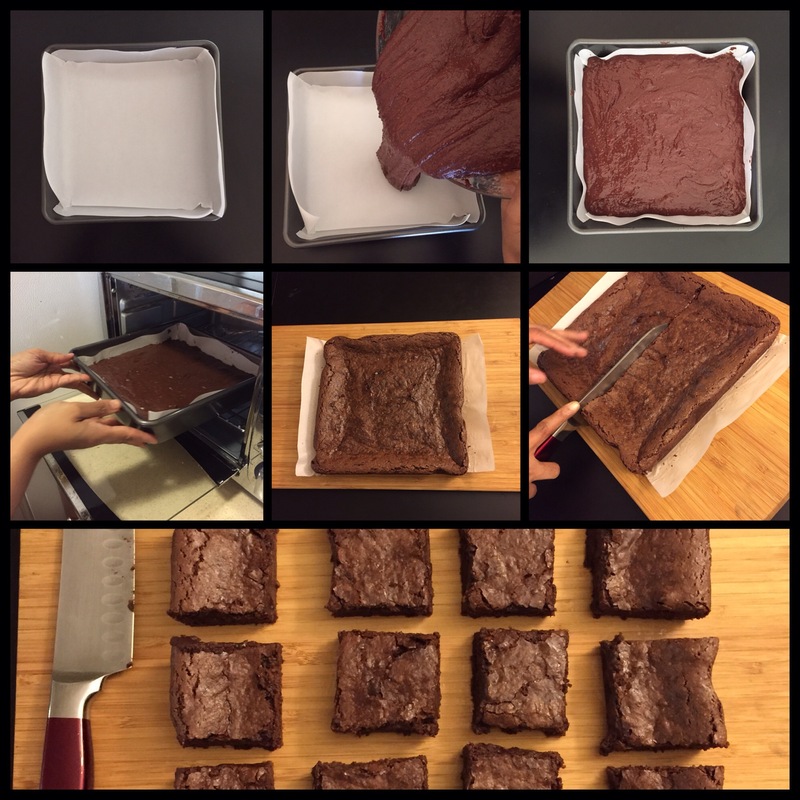 These brownies look decadent! Love that they are gluten free! They look so moist and decadent!